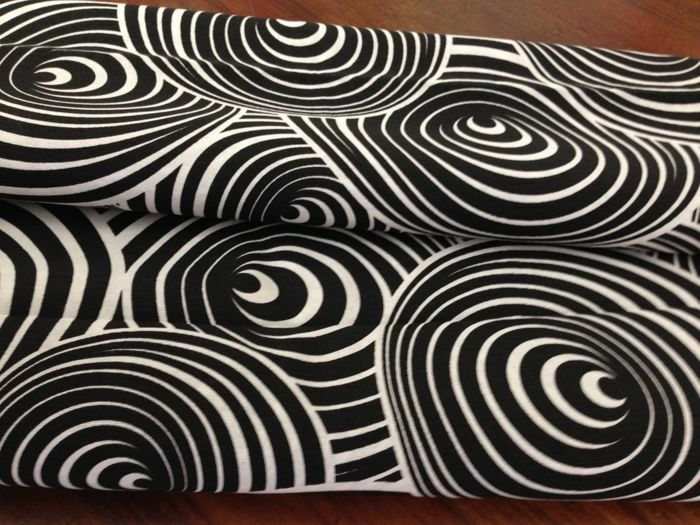 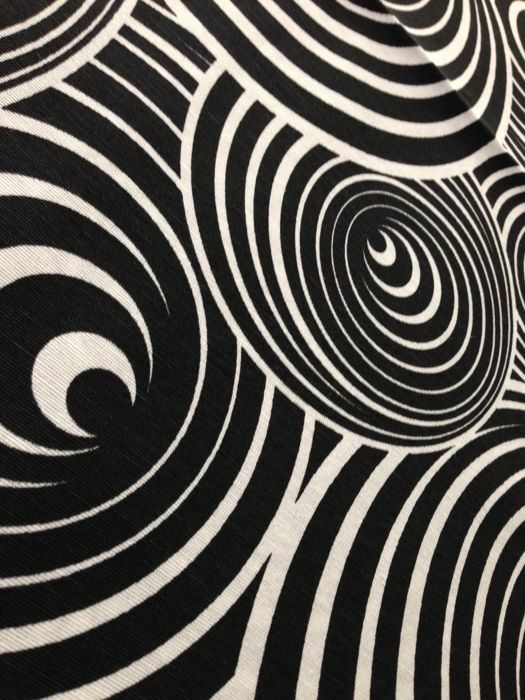 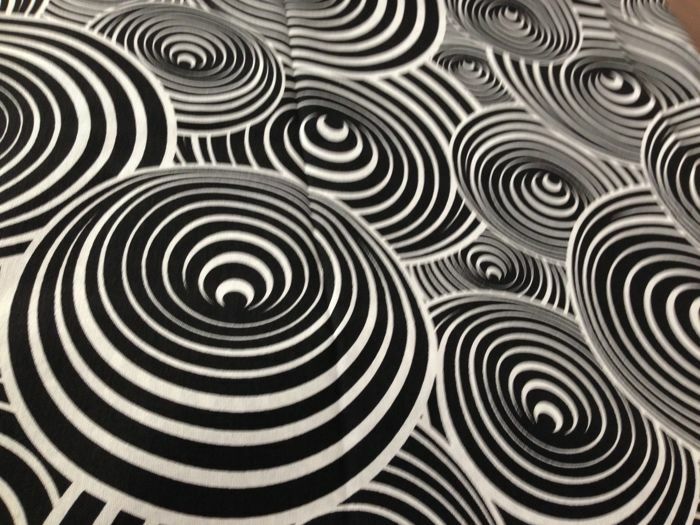 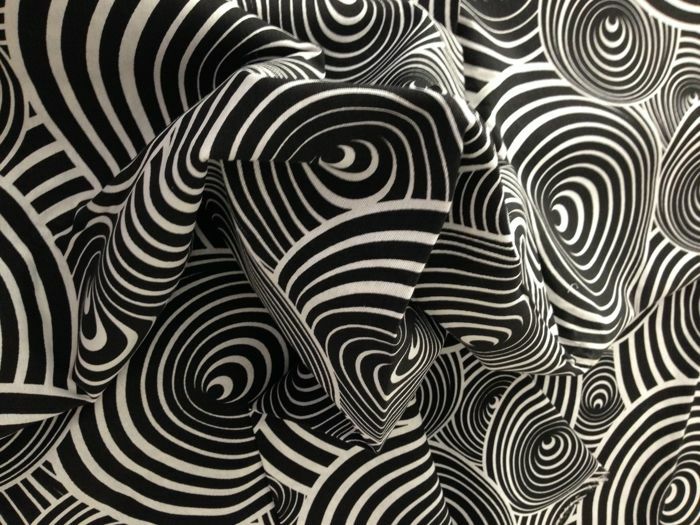 Fabulous Panama cotton fabric with geometric pattern of concentric black and white circles with optical effect. 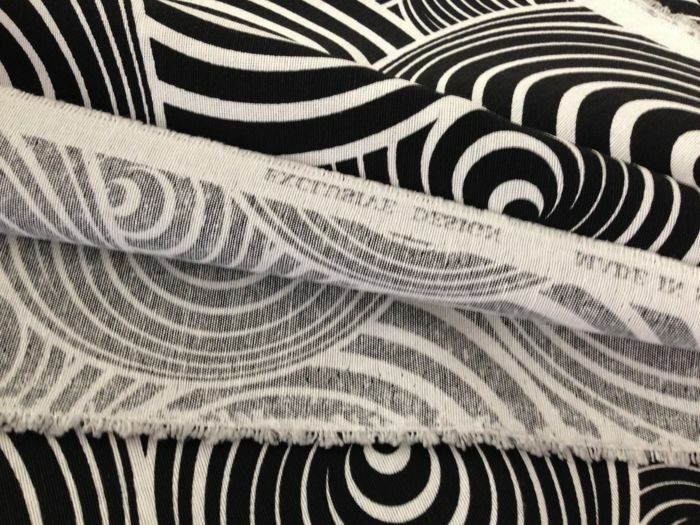 Cloth measurements are 2.80 x H 2.70 m, with all-around decoration. 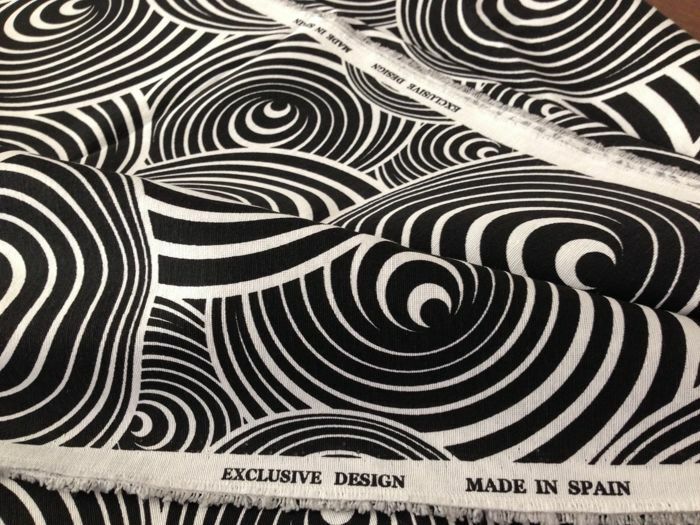 Fabric suitable for upholstery or curtains, it is possible to obtain two cloths of 2.80 m x 1.35 m.
This is a designer furnishing accessory made in Spain, perfect for ethnic settings. 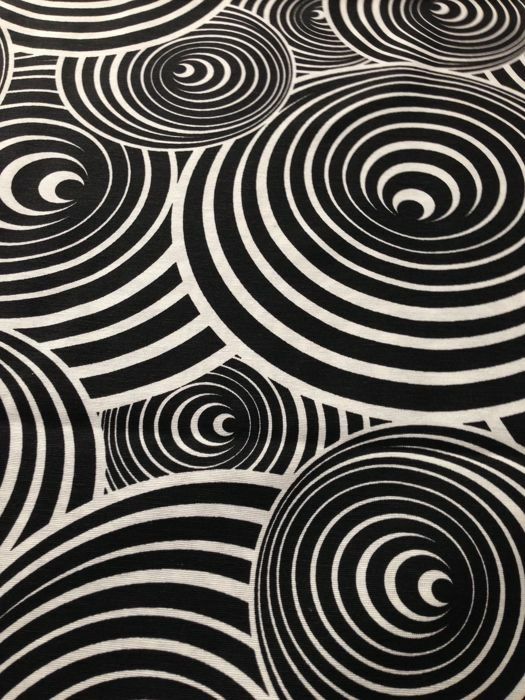 In excellent condition, shipping with tracking code. 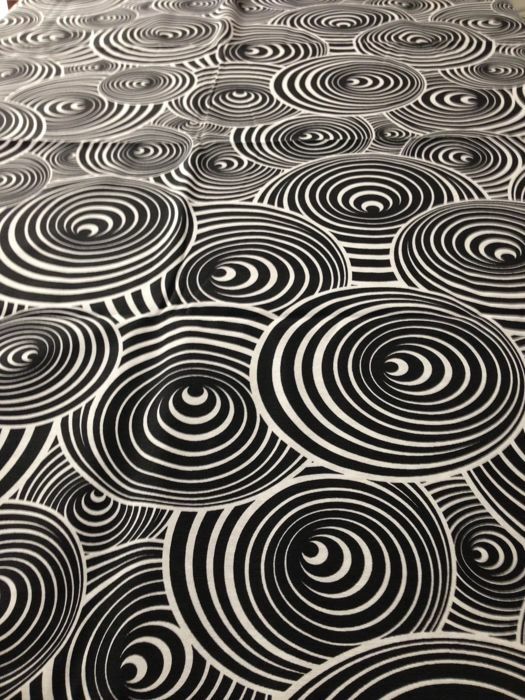 U kunt dit kavel ook ophalen bij de verkoper: Cellole (caserta), Italië.